While enjoying a good book accompanied by a cup of your favourite tea or coffee does make for a relaxing afternoon, imagine all that relaxation being doubled when done outside in the fresh air. Joys like this make life worthwhile and bring awareness of how little we need to spark up that happiness we so long for. This is what makes your patio be your favourite part of the home regardless of the season. 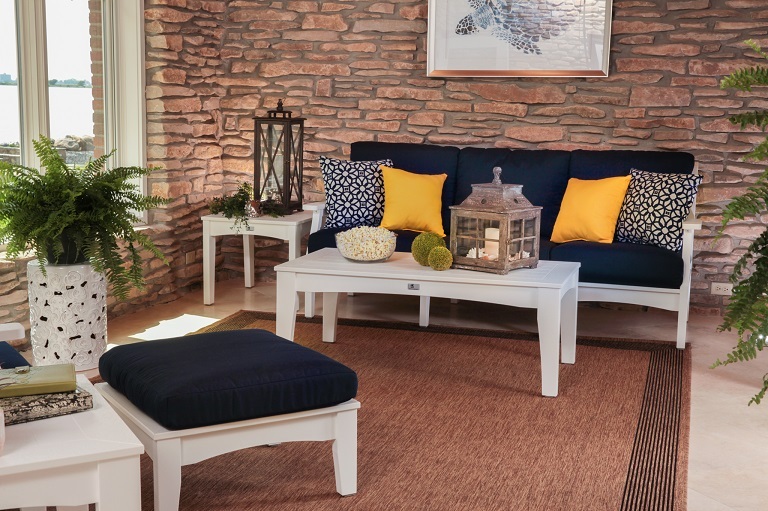 If you are living in a temperate climate zone, you have to decorate your patio with the right set of furniture that can withstand the sunny days of spring and summer as well as the humid and cold ones of autumn and winter if you lack storage space. Same as with styling up your living room or bedroom interior, decorating the outdoor corner has to be planned step by step so you get a harmonious atmosphere that would give off a soothing feeling. While it is important to include a chair here and there to pair it with a table, the sofa is the piece designed for your outdoor comfort which is what makes it the most desired and unrivalled piece of furniture. There are myriad of choices of a patio sofa that you can find, and these three steps below can guide you through so that you make the most out of your purchase. 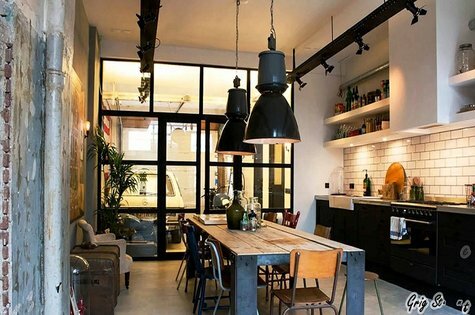 Industrial style is something that has been around for a very long time and has started making a huge comeback in recent years. 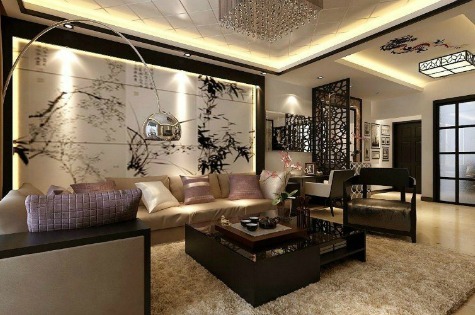 It is a great design that can be incorporated into any style home including contemporary, tradition and vintage. The raw, utilitarian style is not for those of you who want a piece of furniture that will blend into the background though. But if done right, it gives a sophisticated edge. The key to really blending industrial style into your home is by picking a few key pieces. From lighting and edgy art and with few functional furniture pieces, you can easily make the warehouse look work for you too. Smart strategy would be not to go all metal. A little can go a long way. You can buy industrial furniture pieces (few functional pieces is more than enough) and mix with the ones you already own. Luckily, there are many places where you can buy industrial furniture. From minimal to heavy metal, you can embrace and express the rawness. This is probably the easiest place to start and it also won’t cost you a whole lot of money. 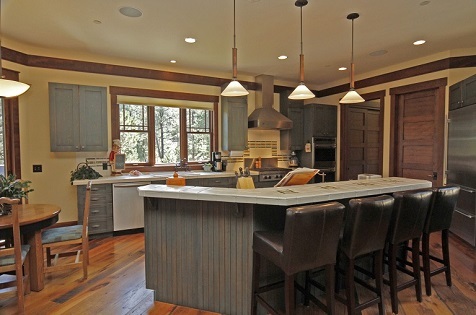 Industrial style lighting is actually quite simple in design but it still leaves a strong impression. There are so many great options out there, so try looking for something with adjustable arms, pendants and metal lamps. This is another way to bring industrial style to the centre of the room bringing the focus with it. There are so many different styles of industrial coffee tables that you really can find great ones that will match the furniture you already have. 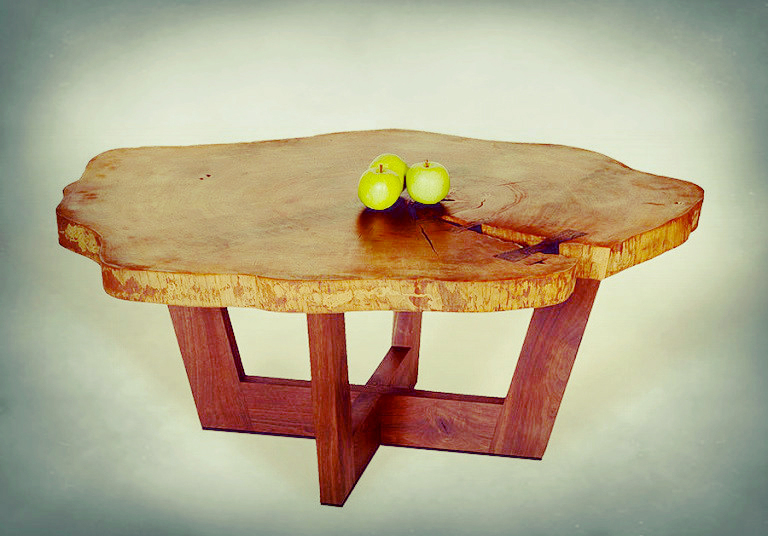 Try sticking to something that is made from wood, metal or has wheels. These are all key features when it comes to industrial coffee tables. Go for something that you would most likely find in a science lab that has that real industrial edge. However, there is a huge variety of industrial influenced designs. You can add the chairs around the dining table or you can add stools to your breakfast bar or counter in the kitchen to really make a statement. This is probably one of the easiest pieces you will find that come in industrial styles. Simply because they seem to be easier for manufacturers to make as you can mostly find them with a wooden top and iron legs. This is a great style for your dining room and you can pair it with any kind of chair you like. If you are looking to bring industrial style to other parts of your house you can easily invest in a set of cabinets or drawers. There are so many different styles to choose from and so many different designs you are sure to find something you love. You can easily add some cabinets to your bedroom or even use it as a table in the foyer. 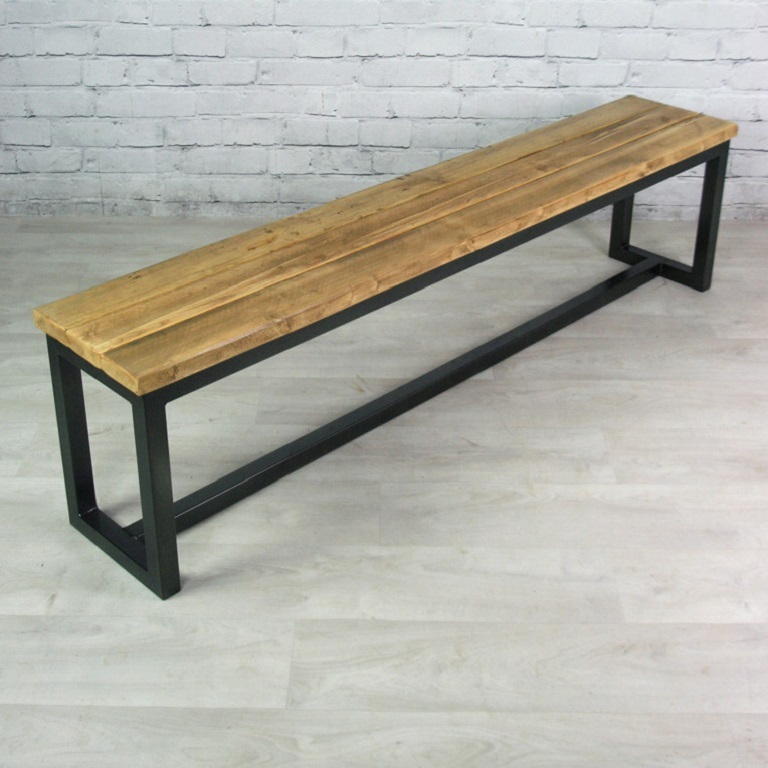 An industrial bench is a great way to bring the style from inside your house to the outside. A wooden and cast iron bench is a great addition to the yard; it looks stylish and is very functional. Adding a bench to your yard is a great way to create a space for you to relax in. 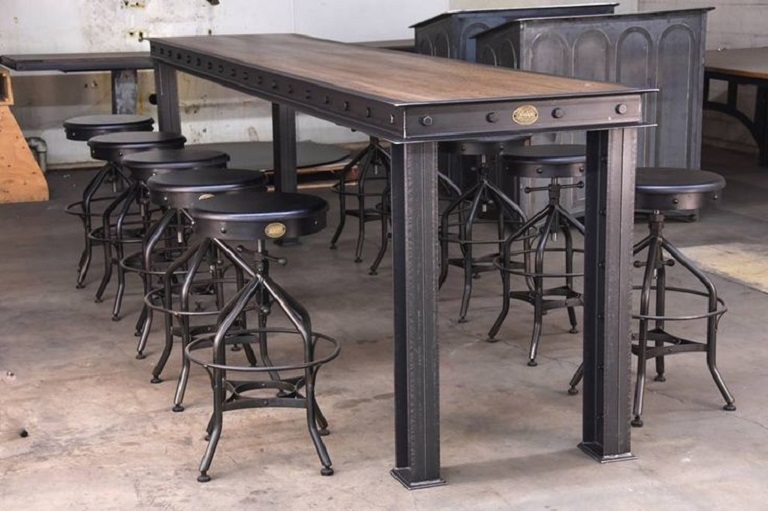 If you are not sure where to find industrial furniture a great way to start is to search online. Online stores have the biggest variety and you can easily buy industrial furniture all from the comfort of your home. If you are lucky enough to have a bar space or breakfast bar in your home, then picking the right bar stools or bar furniture to compliment your space can be quite tricky. There are so many different styles so it can be hard to know which ones to choose. Just like any other piece of furniture, you need the bar stools to match the rest of the room and the theme of your décor. Also, you need to take into account at what height you need them and how high the bar is so they do not look out of place. For that reason, let’s go over several different styles as well as some tips and tricks on how to make sure the bar stools you choose are right for your bar. Oh the beauty of laying in your large sofa in a perfectly designed living room with the perfect lighting in the middle of flowery, sunny spring! Add to that scenery a chillax music and a refreshing cocktail, and all of a sudden you no longer want to go out and party hard in clubs. And why would you, when you can invite your friends over and be the bartender genius you always wanted to be – mixing and shaking liquids. And while there, here’s the opportunity for you to brag with how well your living room looks; accent on the cosy, extra fancy-looking, high-quality lounge suite. 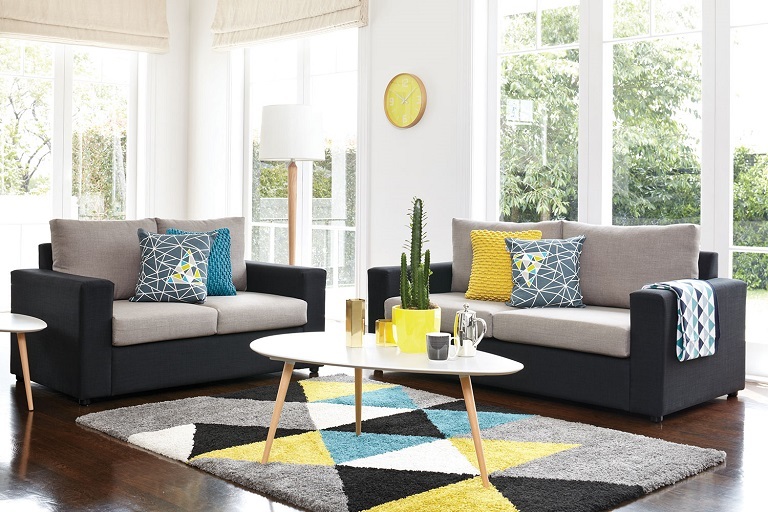 You may wonder why the accent is on the lounge suite; well, it is a large style element of every living room, an investment you should carefully make because ultimately, this furniture will be in your room for at least 7 years or more. And not to talk about how much it influences the style and design of the entire room: decorations, colours and other elements will all have to fit accordingly. So, how do you make the right choice when faced with the vast offer of lounge suites? Are you looking for ways to spice up your home? When it comes to home décor, you know how all the fun might be overshadowed by the worry of whether you will find something that could be combined to work out well; in other words, how to bring functionality that would still be stylish. It is important not to fear trying out ideas and be as bold as you wish to be in order to show your individuality. Choosing the right mattress is extremely important for your overall well being – you spend 1/3 of your day sleeping on it, so it is a must that it offers the ultimate comfort. You need a quality mattress so you can get a good night’s sleep which is essential for a normal functioning of your body. Today local stores and online ones offer various types of mattresses which of course differ in their quality and features. A very popular choice nowadays is the pocket spring mattress. It is a sophisticated type that differs from other mattresses in terms of material and quality. It is also manufactured differently than open coil or continuous coil mattresses; here every spring is placed in a single fabric pocket. This ensures that every spring functions separately and offers the required support depending whether the pockets are filled with air or stuffing. Another feature of these mattresses is their great durability which is provided by a single wire that connects all the springs. Choosing a pocket spring mattress is a long-lasting investment that you should pay attention to while choosing the most suitable one for you. On the market today there are different spring mattresses that have distinct features. So here are 3 things to take into consideration before you choose the ideal one for you. There are various sizes available, ranging from single to king-size mattresses and the one you choose should fit your needs. The standard measurements for the single-size ones are 92cm x 187cm and these are great for smaller rooms where the space is limited. The single-long is a little bit bigger than the single, and it is perfect for guest bedrooms or rooms with limited amount of space. The measurements for the king single are 106cm x 203cm which makes it perfect for teenagers or spare bedrooms. Double and queen-size mattresses are the perfect choice for any couple since they offer comfort and space at the same time. King-size mattresses with the measurements of 183cm x 203cm are very luxurious and give any master bedroom a royal atmosphere. Firmness is an important factor to consider when choosing the right mattress for you. Soft mattress are designed to give a soft feel while offering great support at the same time. This type of mattress is perfect for people who tend to sleep on one side or on their back. Medium mattresses are the perfect combination of soft and firm features. They give great support without causing back pain or numbness. Firm mattresses have a thin upper layer of soft foam while the rest of the mattress is filled with a firmer foam that provides a solid and comfortable support. From silk to aloe vera, there is a wide range of mattress covers to choose from. Temperature regulating covers have amazing absorption properties and so do silk covers which are also soft and feel comfortable to the skin. Aloe Vera covers have anti-allergies properties and offer a soothing felling and comfort. A sofa bed can look great and feel great too. It doesn’t take up as much room and it can easily serve as a place to put guests when they’re staying over. So how do you know what to look for? The task of picking out new furniture can be a bit daunting, so we’re going to go over all the things you should look for when picking out a sofa bed at the next sofa bed sale. Hopefully, after reading these tips and tricks you’ll feel more confident in picking the ideal sofa bed for you. Another thing you should make sure of before purchasing, is whether it will fit through your door. You should make sure to measure your door frame as well as seeing whether you can pull the sofa bed apart if needed. Check to see if the legs or bottom of the sofa bed is removable to make moving it easier.The next thing you should be looking at, is the frame and the type of mattress. There really isn’t a lot to say about the frame as most manufacturers make them the same. There is hardly any differences between them – most consist of a metal frame that has coils around the edges which hold the canvas decking in place. Most sofa beds also have some sort of bar that goes underneath the mattress, these tend to curve slightly away from the body making them a little more comfortable to sleep on. The next thing you should be looking at, is the frame and the type of mattress. There really isn’t a lot to say about the frame as most manufacturers make them the same. There is hardly any differences between them – most consist of a metal frame that has coils around the edges which hold the canvas decking in place. Most sofa beds also have some sort of bar that goes underneath the mattress, these tend to curve slightly away from the body making them a little more comfortable to sleep on. There are three popular types of mattresses that most sofa beds come with and that is the innerspring mattress, memory foam mattress and air coil mattress. The innerspring mattress has coils inside it and usually, the more coils they, have the better. The average is around 345, anything higher than that, the more comfortable it will be. The memory foam mattress has no coils and is designed to fit your body perfectly (once you relax and sink into it); they are quite comfortable as well. An air coil mattress is pretty similar to an innerspring mattress, the difference between them being is that they are built with an air mattress on top. Last but not least, also make sure to test it out! This is something that some people feel embarrassed to do, you shouldn’t feel like this at all. It is a big investment so you want to make sure that you test it before you commit to buying something you might not like. Make sure you lie down on the sofa bed and try a couple of different sleeping positions out to get the right feel. Make sure that you test how it opens and closes, test it while it is in the sitting and laying position so you really know what you are getting. Take your time and really look around before you commit to buying anything, there are so many places that sell sofa beds, if you look around you might even find a sofa bed sale.